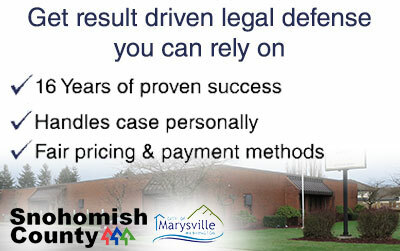 Facing criminal charges in Marysville, WA? The choices you make right now will have a big impact on your life. Your career, family and even your freedom is at stake – that’s why it’s important to choose the right criminal defense lawyer. You deserve to have the best legal representation – after all, your future depends on it. 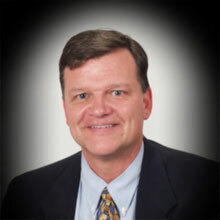 I’m Schoen Parnell, an active, dedicated criminal lawyer with a proven track record of achieving ‘Not Guilty’ verdicts at jury trials over the past 16 years. 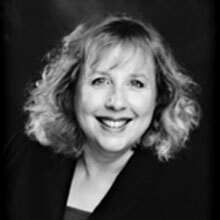 I am a member of the Washington Association of Criminal Defense Lawyers, Washington State Bar Association and The National College of DUI Defense. I own and operate Parnell Defense, a private criminal defense firm that represents men and women charged with felony or misdemeanor offenses in Marysville, WA. I understand that facing criminal charges is stressful – that’s why I personally handle each of my cases, and give my clients direct access to me 24 hours a day on my cell phone. My fees are fair, and I offer reasonable payment plans and methods so you can afford to hire a qualified Marysville criminal defense attorney to represent you in court. Unlike large law firms, I do not use junior lawyers or paralegals to conduct interviews and make preliminary court appearances – when you retain me, I am your exclusive lawyer. Call me today for your free consultation – we’ll talk about your case and how I can help you. Marysville Municipal Court’s jurisdiction is limited; the judges of this court preside over misdemeanor and gross misdemeanor arrests made by Marysville, Arlington or Lake Stevens police officers. Since Marysville does not have its own prosecutor’s office it contracts with a private law firm named Zachor & Thomas who will be the prosecutor for the case. However if you are arrested by a Snohomish County Sheriff’s Deputy or Washington State Trooper your case will become a “state case” and will be heard in the Snohomish County District Court’s Cascade Division located in Arlington, WA. All felony case arrests made in the county are considered state cases as well and are heard in the Snohomish County Superior Court located in Everett. Washington State cases for arrests made in Snohomish County are prosecuted by the Snohomish County Prosecuting Attorney’s Office located in downtown Everett. Lunch 11:50 a.m. – 12:20 p.m. If you have any questions about your arrest in Marysville, WA don’t hesitate to reach out to me anytime day or night.